Jeremy Runnells’ Letter to a CES Director has been a fairly popular topic for some time. People I respect, like Jacob and others have responded to it. I don’t know why you should care what I think, but apparently you are still reading, so here goes. 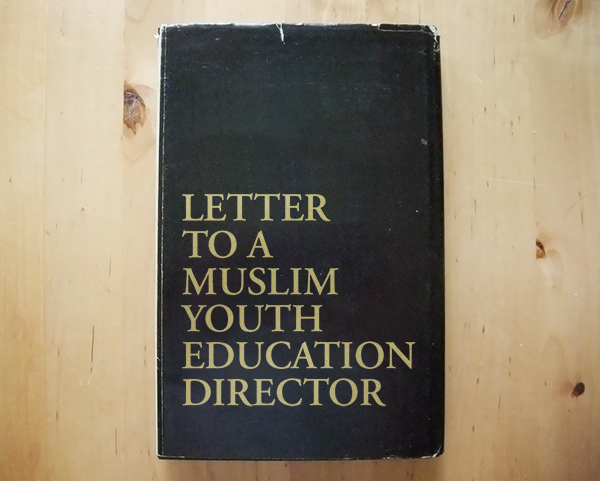 How Would You Read a Letter to a Muslim Youth Education Director? So that’s my first question. If the same book were written about Islam or Buddhism or Catholicism or Presbyterianism, how would you read it? I can think of many different approaches, but personally I would never bother reading such a book. The point of the book seems to be to apply fun house mirror-like exaggerations to every flaw or thing that could be seen as a flaw. After this fun house mirror exaggerates lots of little flaws, the next step seems to be to convince you that all of those little flaws or seeming inconsistencies add up to something big. From what I can tell, next you are supposed to get the message that the church is untrustworthy. This untrustworthiness is supposed to seem so big, so absolute, and so “true” that you “must” abandon it. This untrustworthiness then becomes the lens through which you view everything in the chuch, and this cynical approach reinforces the untrustworthiness. Finally, in order to act with “integrity” and “in good conscience” to the cynical, exaggerated view you have adapted, you must end your participation. What would you think of a book that did the same thing about any other religion? Again, I would never bother to read such a book. It would not tell me anything useful or good about those faith traditions. Instead, it seems like it would try to use different exaggerations to convince me that something evil is behind them and that they should be avoided if not fought against. To put it another way, such a book would not tell me what is virtuous, lovely, or of good report or praiseworthy about any of those traditions. Who Would Read Such a Book? So who might read such a book? I will tell you who—missionaries. No, missionaries would not actually read such a book about Buddhism or Catholicism; they would just pass along as missionary lore a lot of uninformed, exaggerated, negative ideas about those traditions. I’m sorry to say that I heard and participated in too many conversations as a missionary in Chile that equated the Catholic Church with the Great and Abominable Church. If you are a missionary or a Mormon whose job it is to prove or convince people that your brand of belief is correct while others are wrong, then you are going to use all sorts of ideas, arguments, and evidence to prove your case. That approach to religion and belief is the product of Enlightenment rationality combined with the belief fights mentioned above. Oh, and it is a terrible way to think about religion or truth or faith or covenants or being a contributor to a faith community. I think that this might be part of what Jacob gets at when he says that the CES Letter is just the other side of the coin with FAIR and FARMS. If there is a lesson or good that can come from this book, I believe it is this: what is the foundation of your faith? Do you seek to convince others (and yourself) of the value of the Gospel of Jesus Christ as it is found in the vehicle of the Church of Jesus Christ of Latter-day Saints with history, with an infallible institution and prophets, with unreasonable expectations about human writings even if they are called “scriptures,” or with quasi-scientific, rational arguments? Could it be that this CES Letter is as if God had sent a storm to blow that part of your house down so that you can rebuild your faith on something firmer? If I were Muslim or Hindu or a Baptist and a book that distorted and exaggerated my tradition and faith could cause me to give up what is valuable in that tradition, then I think it would only expose how poorly placed my faith was in what is truly virtuous and lovely in that tradition. Wait, didn’t you just say people should stay in their Religious Tradition—Doesn’t that go against Mormon Missionary work? Good point, my observant reader! I fervently believe that our Heavenly Parents speak lovingly with all of Their children through a variety of religious traditions. In fact, our church teaches that. Books (or missionaries) who use the approach evident in the Letter to a CES Director employ tactics that dishonor the traditions they attack, and, in so doing, their deception tries to clang so loudly that one cannot hear the clear, loving, still and small voice of God. Missionary work should invite others to value and cherish what is virtuous and lovely in their tradition and then to add to it. What about areas where a tradition is flawed or incomplete or in error? First, I would say that, again, I would not trust something like the CES Letter if it were about another tradition to give me a real, useful, and beneficial way to see the shortcomings or flaws in someone else’s or in my own religious tradition. Wow—wouldn’t a book like that be a terrible way to understand shortcomings in Islam! Furthermore, there are errors, flaws, and shortcomings in all religious traditions including Mormonism. For those errors and shortcomings we have the support of face-to-face friends and family, we can find trustworthy online friends, discussions, and sources, and we can search with the intent of learning how to be faithful to what is good, true, and godly in our tradition. And, in a spirit that is the opposite of the Letter, we can seek, value, cherish, and hold to the best in all traditions, including our own. Image credit: James Allenspach, modified by Scott Heffernan (used with permission).